In many of the bigger European leagues, the picture looks about as you’d expect it to this time of year. 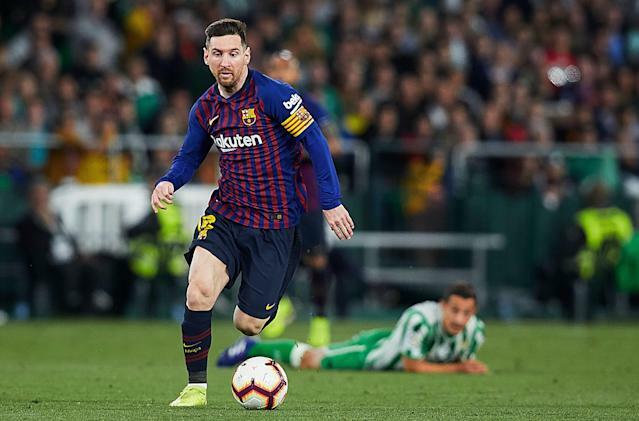 Following Real Madrid’s collapse and Atletico Madrid’s predictable unpredictability, FC Barcelona has run out to a 10-point lead with 10 games to play in La Liga. That all but wraps up an eighth title in 11 years, given that Barca has already played most of its toughest league games, bar a home game with Atletico. Juventus, in spite of losing its final game before the international break, is fully 15 points clear in Serie A. That was, after all, its first defeat of the league season. And an eighth straight Italian championship seems a formality, because the Old Lady would have to lose half of its 10 remaining games – more losses than it has in the last two seasons combined. Juve was already dominant in Italy, and then it only went and bought Cristiano Ronaldo last summer. The outcome was almost a given. Over in France, Paris Saint-Germain is 20 whole points clear of Lille … with a game in hand. PSG could well have its sixth league title in seven years wrapped in the first week of April. And, to the club’s horror, there is no more Champions League action to distract attention or divert energy away from sewing up more domestic French silverware. In the Netherlands, PSV is five points clear of Ajax with eight games to go and apparently destined for a fourth league title in five years. And in Scotland, Celtic sits atop its usual perch, 10 points above Rangers, and is just a few days away from an eighth straight championship. Yet now that the last big international break running roughshod over the club season is over, things are nevertheless poised for a tantalizing finale to the European campaign. Because in three of the more compelling circuits – the Premier League, Bundesliga and Champions League – things are desperately close. In England, Liverpool leads the defending champion Manchester City by two points, but then City has a game in hand. The Reds have just seven remaining league games, making this an actual title race, which is a surprisingly rare thing in the Premier League. In terms of difficulty, the two contenders have similar run-ins. Liverpool begins with an away game at Tottenham Hotspur on Sunday. Spurs remains in third place but are no longer a title threat, lagging 13 points behind City, but they can still very much play spoiler. After that, Liverpool’s toughest task is a home game with Chelsea on April 14. City, for its part, hosts Tottenham – those title-spoilers again – on April 20 and hops over to city rivals United four days later. But the real variable in this race is a quasi-external factor in the form of the Champions League. Both City and Liverpool are still active and that continental battle will drain significant resources from the domestic front. And here, the nature of the tasks is quite different. 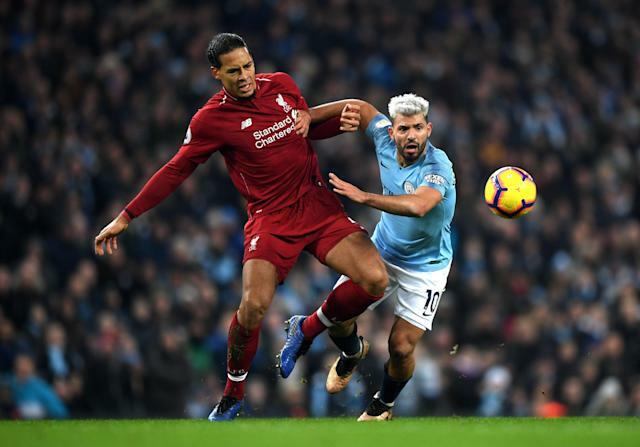 City was drawn with Spurs – again playing the antagonist – while Liverpool, last year’s losing finalists, were handed perhaps the most forgiving opponent in FC Porto. So while City has a narrow theoretical edge in the league standings by virtue of the game it has in hand, Liverpool will likely expend less energy during its European dates. At the beginning of the season, seventh consecutive German title seemed likely for Bayern Munich too. Borussia Dortmund kept losing its best young players, and it was yet again starting out under a new manager. But somehow, Dortmund roared out of the gate as Bayern stumbled. And for a while, Dortmund flirted with a double-digit points lead. But then Die Borussen won just one out of five and Bayern reeled off 13 wins in 14 games. Now they are tied, with Bayern ahead on goal difference. They face off on April 6. Bayern has three other games against top-eight teams remaining. But then so does Dortmund. And neither team survived the round of 16 of the Champions League, meaning they are entirely focused on that Bundesliga title race. Which brings us to the granddaddy, the Champions League. For the first time in eons, all four English teams survived to the final eight, making a first English champion since Chelsea in 2012 a strong possibility. Much more so because Real Madrid, winner of the last three editions and four out of the previous five, was upset by Ajax in the last round. There are no real favorites and it’s hard to make predictions of any sort, because only Barca and Juve have their league seasons more or less settled. But Barca has failed to survive the quarterfinal stage for the past three seasons and Juventus has real holes in its lineup. Even Spurs and United, no longer in contention for the Premier League, are in a fight to secure Champions League soccer for next season. There is, as they say, a lot left to play for. Not all of it. But a lot of it.